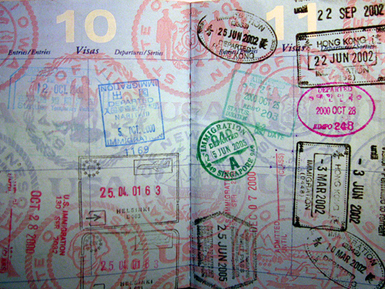 There is always something changing and U.S. passports are no different. Right now an adult passport is valid for 10 years BUT…not always. If you are going to some destinations (Europe, Costa Rica, and even Mexico), your passport must be valid for 6 months after your return date, so in other words, you’ll need to renew your passport to travel to some of these areas at 9 years. Right now extra pages will cost you an additional $82 but ordering a larger passport book doesn’t cost anything extra. Adding additional pages come in packets of 24 blank visa pages but one of the things that we have heard is that certain nations really scrutinize those passports with extra pages. If you are a frequent traveler, My Vacation Lady advises you to either add extra pages before December OR renew your passport early and get the larger passport book.